Chester Springs, PA – (October 24, 2018) – Azione Unlimited’s recent fall conference, The Donnée in Denver, broke-free from traditional conference offerings with new Inspiring Insights talks, small group presentations, and charity-based team-building events, complemented by plentiful networking opportunities to help build a stronger sense of community and camaraderie. “Within the first five minutes of being at the Donnée in Denver, I was overwhelmed by the spirit of camaraderie and community. It was literally palpable, and felt like I was amidst a group of friends more than a group industry colleagues,” says Giles Sutton, Senior Vice President of Industry Engagement for CEDIA. New for the Azione Fall Conference was a series of Inspiring Insights talks which explored a multitude of interesting topics energetically delivered by thought-provoking speakers from both inside and outside of the AV industry. Small Group presentations led by members of Azione and One-on-One sessions with Azione vendors armed attendees with sound and strategic business insights to help companies learn, grow, and overcome challenges. In all, more than 250+ like-minded individuals, including home technology professionals, manufacturers, service providers, and industry affiliates attended the event. Even as Azione continues to strategically add new dealers and vendors in 2018, the buying group remains intimate, with members committed to full transparency and idea-sharing. During small group meetings, subject matter experts and dealers, alike, explored essential business concepts and shared tips. Highlighted sessions included growing your business, onboarding employees, how to run a profitable service department, using marketing to book your business, and more. One of the most heavily attended sessions was a panel led by Gretchen Gilbertson of Séura, exploring how to work with interior designers. A mainstay of Azione events, one-on-one meetings allow dealers and vendors the time and space to learn about new program incentives, products, and technologies, while building stronger relationships. “We hope that after the Donnée in Denver, Azione members feel stronger, more capable, and better armed with advice and actionable insights to help them navigate business and rise above any challenges they’re faced with in the future,” says Azione President Richard Glikes. Azione Unlimited, the education and buying group for integrators, is a consortium of like-minded custom installers, home technology professionals, and vendors. The organization helps its members achieve greater levels of prosperity, technical acumen, and sophistication in running their businesses and serving customers. Founded by industry veteran Richard Glikes and headquartered in Chester Springs, PA, the organization hosts two high-energy, information-packed conferences per year, Azione provides its members with a host of benefits, from product discounts to educational middle management meetings and marketing tools. Learn more at AzioneUnlimited.com. Follow @AzioneUnlimited on Instagram, Facebook and Twitter. 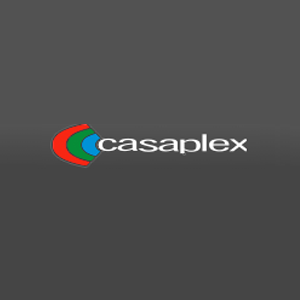 Casaplex was founded in 2004 and employs 26 professionals. Derek Goldstein, CEO/President describes his experience in the CE industry and as a member of Azione Unlimited.